Earlier this year, a handful of former Koneo partners decided to form a new company called Gibon. Gibon offers digital solutions to small and medium sized business in Sweden. Today they have 12 offices across the country with an impressive revenue stream of more than SEK 300 million. They hired Brightvision to launch the first pilot in Sweden. 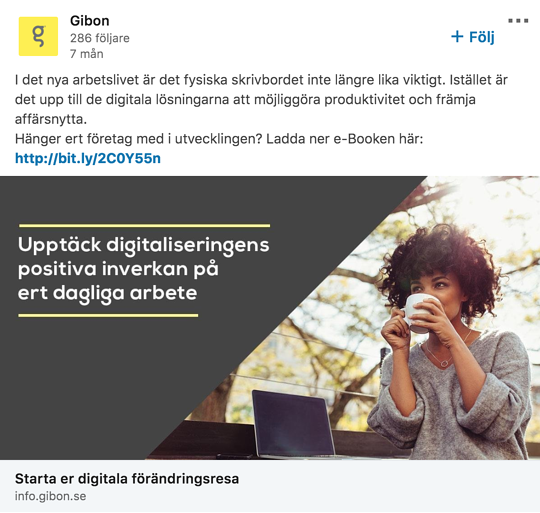 Let’s take a closer look at the process and how Brightvision navigated through the challenges to be able to create an effective and results-oriented integrated marketing campaign for Gibon. Being new in the market is daunting in itself, let alone being faced with the task to immediately generate leads. Gibon wanted a solid and scalable funnel strategy they could rely on through their various stages of growth. A marketing funnel is often divided into three main phases: Top of Funnel (TOFU), Middle of Funnel (MOFU), and Bottom of Funnel (BOFU). Each phase comes with a different set of activities and content. In Gibon’s case, our task was not only to drive leads to the top of the funnel, but make sure those leads were appropriately nurtured in order to make their way to the bottom of the funnel. Our marketing experts created a sophisticated funnel strategy that was both flexible and scalable. 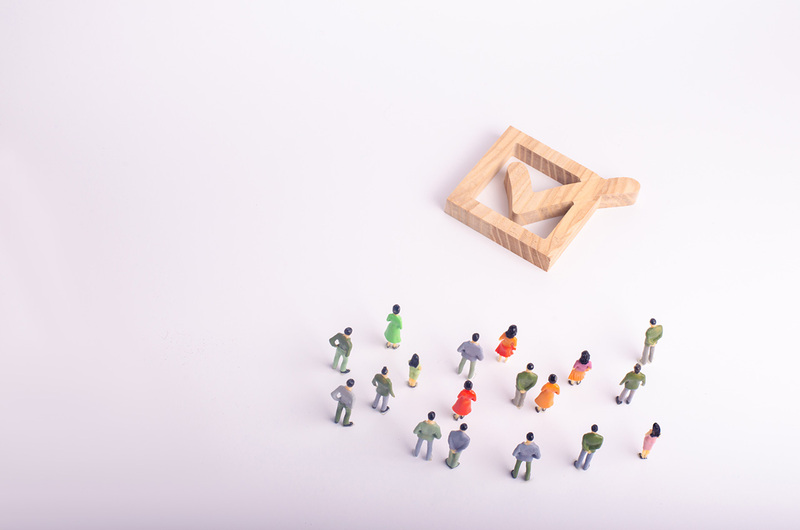 That funnel strategy served as the foundation for the lead generation model Gibon was looking for. Paid media is a big part of any lead generation campaign. While organic traffic is just as important, paid media is what immediately and effectively drives traffic to websites and landing pages. For this campaign, we used LinkedIn’s sponsored content ads to drive traffic to the eBook landing page. In total, we launched five sponsored ad campaigns consisting of 12 ads. The average CTR for all ads were 0.69%. Below, you see the highest performing ad, generating a CTR of 1.14%. This is three times as high as LinkedIn’s average CTR of 0.3-0.45%. For this type of campaign, our inbound and outbound departments work closely together. As soon as the leads come in, the outbound department is responsible for lead qualification and nurturing. During this process they evaluate lead engagement using a marketing automation system and initiate contact through outreach calls to establish lead relevancy. The campaign generated 68 MQLs during its first weeks. 26 of those were identified as relevant leads by our SDRs. Learn more about the process, get a glimpse into the content we produced, and find out why we chose marketing automation system SharpSpring to do the heavy lifting. Click the link below to get the full story on how Gibon secured its first leads.